Sweet choice form a local writer (CO)! It was a sweet story! Thanks for stopping by! What a thoughtful review. You told me everything I wanted to know, and now I will purchase it for our grandchildren::) Just in time for Christmas. Sounds hilarious.Thanks for sharing. Kids will love their role as teachers in this one! I have seen this book. . .definitely a winner! Looks like an excellent book! Kids in charge!! Yeah, it's always fun when the kids take over...ha! I love "how-to" books filled with fun (and not necessarily "correct") ways to do things. 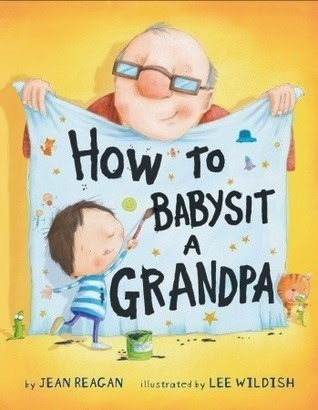 This looks like a perfect book to give a kid who's going to grandpa's house for the holidays. Me too! It's a lot of fun! This sounds adorable. The title and cover should be big draws!